Disclosure: I was sent review copies from the publishing in exchange for an honest review. All views shared are mine and mine alone. Thanks to the kind folks at Simon & Schuster Children's Publishing, my girls and I have been getting our fix of Easter-themed books, as well as book all about bunnies, chicks and spring. Think about spring and Easter and we have read a cute book about it, thanks to an abundance of new picture, board, beginner reader and chapter books from Simon & Schuster Children's Publishing, all of which are available now, and would make a great Easter basket filler, or to pick up and share you count down the days to the Easter's Bunny arrival. 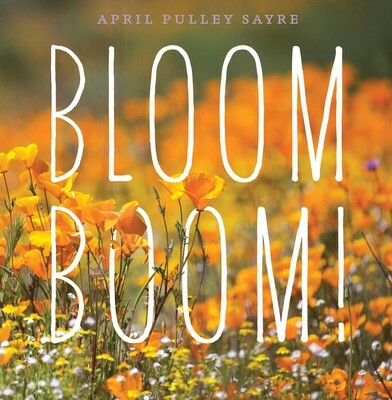 Or, if you have been able to get outdoors and enjoy the beautiful spring weather, some of these books about nature and blooming flowers will make for a great bedtime book to wind down and talk about fun outdoor play, exploring nature. 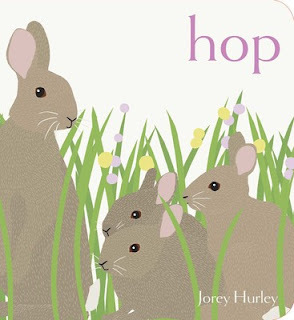 "Baby bunnies go on a spring day adventure in this delightful Classic Board Book from acclaimed artist and author Jorey Hurley. A perfect gift for your little one’s Easter basket! Celebrate the beauty of spring with this vibrant Classic Board Book that’s a perfect read-aloud for parents and little ones to share." If you are looking for a cute board book to add to a baby or toddler's Easter basket, look no further than Hop. With only one word per picture, little ones can begin to recognize letters and words, as they take in the beauty of spring, with the help of a mother rabbit and her three bunnies. “Discover the magic—and the science—behind spring flower blooms with this companion to the celebrated Raindrops Roll, Best in Snow, and Full of Fall. When spring arrives, flowers of all kinds sprout and grow buds and bloom. Sometimes, they bloom a few at a time. But other times, many will bloom at once in a colorful flower boom! This photographic exploration of flowers goes from the desert to the woodlands and beyond, celebrating their beautiful variety and the science behind these colorful displays." One of the things my girls are learning to do is take photos with a camera, as part of a nature lesson we are doing. They are trying to get close up to capture the beauty of a seedling sprouting from the ground, as well as flowers in bloom. 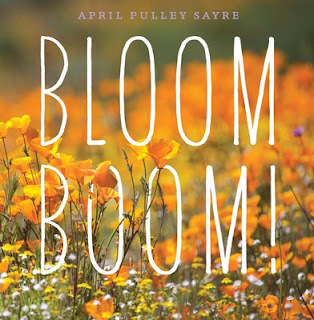 This book is perfect for them as it really gives readers a close up of growing buds and blooming flowers -- truly a stunning book, that both kids and adults will enjoy reading. My girls and I found ourselves lingering on each page, taking in the amazing photographs, as well celebrate spring in all it's beauty. 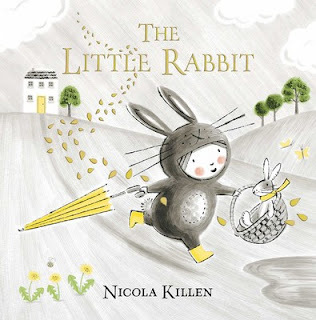 "From beloved author/illustrator Nicola Killen comes an enchanting spring story about a magical friendship between a little girl and her stuffed rabbit who comes to life, lovingly told and illustrated in limited color with lovely foil and interactive die cut pages. The Little Rabbit is sure to enchant and charm young readers and is great for sharing with a friend." This ended up being a favorite bedtime book for my youngest daughter, as she loved the peek-a-book window scene, as well as the gold foiled embellishments throughout the pages, adding a magical feel to such a sweet story about a little girl and her stuffed rabbit. My daughter has woke on a few occasions, and shared dreams she has had as a result of us reading this book at bedtime. She says she found herself daydreaming about what it would be like if her favorite plush toys she snuggles and plays with came to life. Thanks to this book, she dreamt about some magical adventures, which almost felt real. It’s time for the bunnies to brush their teeth, clean their paws, and comb their tail. And before they fall asleep, they’ll have time to curl up for one last hug, and one last story shared with some unexpected friends. 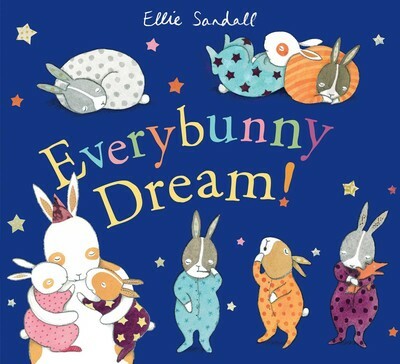 Every bunny is welcome to join in this bright and cheery bedtime tale before dozing off into sweet dreams. If you are looking for a cute bedtime book to share with your little ones, that talks about doing their hygiene and prepping for a good night's sleep, then this cute picture book is just the ticket. The pages are filled with playful bunnies all dressed in their comfy pajamas, getting ready for bed. They have to brushed their teeth, comb their hair and do all the stuff little ones have to do before they crawl into bed. My youngest enjoyed reading this book with me at bedtime the other day, and ended our reading session with a great big hug, before I kissed her goodnight and wished her sweet dream. 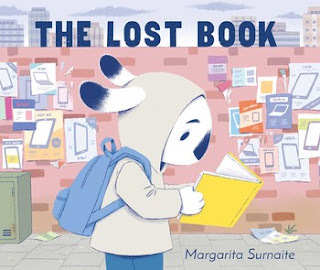 "A rabbit who prefers real-life adventures to stories finds a lost book that takes him on an exciting journey in this charming picture book about the power of tales to inspire children and bring them together. Everyone in Rabbit Town loves to read. Well, everyone except for Henry, who would much prefer to play outside. Then Henry finds a lost book, and when he tries to track down the owner, he stumbles into the human world. There, the adults are all absorbed in their phones and tablets, and everyone ignores Henry until he befriends a young girl. They have so much fun together that Henry gives her the lost book, knowing it will be in good hands. Henry learns that books can contain adventures all their own, and when he returns to Rabbit Town, for the first time it is Henry who tells the bedtime story." My girls and I read this book the other night on the couch, before heading up to bed. After hearing so many wonderful things about this book through online reviews, I couldn't wait to share it with my girls. We now live in a day and age where everyone is glued to their phones and electronic devices -- even kids. Wherever you look, people are either on their phones or looking at their devices, as if they are in their own little worlds. They are loosing sight of the importance of living in the moment, and taking things like spending quality time enjoying a good book with your child at bedtime, for granted. Instead of wanting to embrace these moments device-free moments, we are letting our lives be run by our phones, which is truly sad. Kids are losing out all the imaginative play, as well as bonding over a good book with parents and caregivers. But, thanks to this cute picture book, parents will be reminded that there is life outside our phone screens, and that enjoying a good story can spark a child's creative mind, leaving them to drift off to sleep imaging wonderful adventures. Not only was the story heartwarming, but the illustrations that fill the pages of this book, really help to bring this bedtime book to life. Both of my girls enjoyed it, and have asked me to read it a few times since we first sat down to enjoy it a few days ago. This is definitely one of those books you and your child will enjoy reading time and again. "Bunnies—not tigers—rule the forest in this adorable take on William Blake’s classic poem. Tigers may be the most feared animal in some forests, but in this one, they fear the bunny. One hapless tiger finds this idea preposterous—what are they going to do? Nibble on his tail? Bop him on the head? Cute him to death? Fear the bunny—HA! Make no mistake, though: Richard Morris’ reimagining of William Blake’s famous poem turns the tables, and teaches one testy tiger a little rabbit-respect!" Did you know that April is National Poetry Month? My girls are learning all about poetry, including trying their hand at writing their own poetry, thanks in part to this new children's book. The author, Richard T. Morris reimagines William Blake's famous poem, The Tyger. But, instead of being fearful of tigers, like most of us are, this children's book author wants us to fear bunnies. 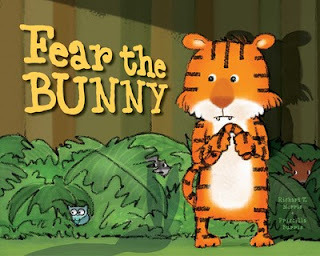 Yes, you read that right, cute, cuddly bunnies, have taken over the forest and are giving a tiger a scare. "Mama, Papa, and their little family can’t wait for their newest chicks to arrive. But one little chick just doesn’t want to break out of its shell in this sweet spin on the classic tale of Sleeping Beauty. With the help of his siblings and his mama’s love, will this little chick find its way out into his big, new world?" 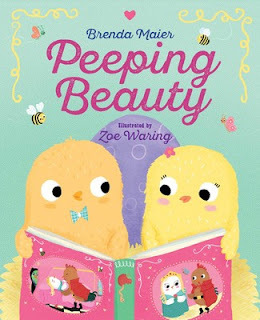 If your little ones like fairy tales, especially Sleeping Beauty, then they will love this cute picture book about a chick who doesn't want to hatch from his egg. With a little bit of love, and a sweet retelling of the classic Sleeping Beauty tale, the little chick finally enters the world, surrounded by his loving family, who has been eagerly awaiting his arrival. Good things come to those who wait, and this little chick is just what this mother chick and her little chicks have been waiting for, to make their family whole. The illustrations in this book are colorful and playful, and will have young readers lingering to take in all the details of the artwork, as you enjoy this book together. 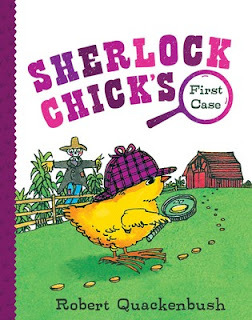 "Look out Sherlock Holmes, Sherlock Chick hatched from his egg with a detective’s hat and magnifying glass, and he’s on the case in this adorable, easy-to-follow mystery from Robert Quackenbush. 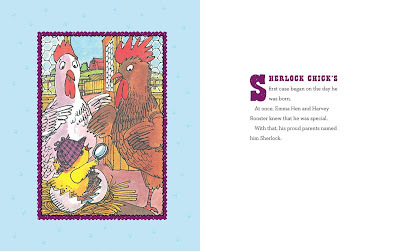 Within moments of his birth, Sherlock Chick lived up to the name he’d just been given. His parents pointed out the fact that their feed bin was empty and they didn’t know who might have taken their corn. Sherlock follows the trail of corn, questioning animals along the way, until he finds the corn and the culprits. Will Sherlock Chick be able to get that corn back where it belongs?" Now you have probably all heard about Sherlock Holmes...but, what about Sherlock Chick? 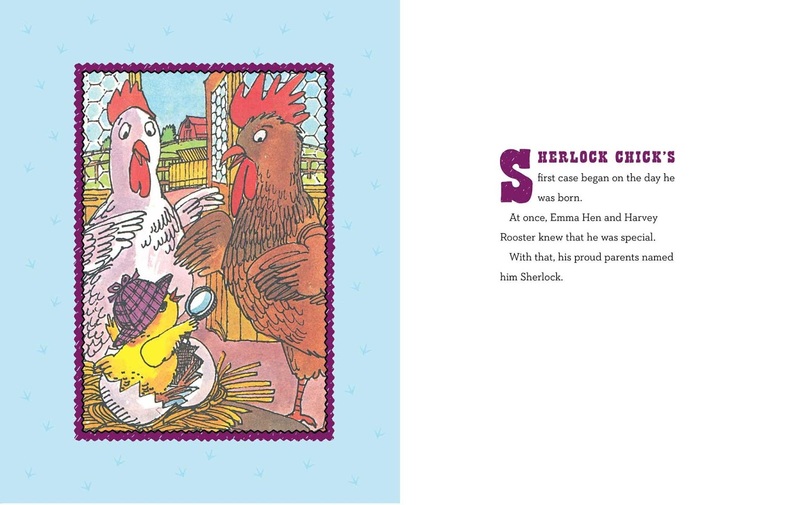 Yes, you read that right, this cute children's book is about a newly hatched chick who takes on the role of a detective, trying to find out what happened to all the corn feed. This is a cute barnyard mystery, that will have kids and adults giggling as you enjoy this story together. The tiny supersleuth complete with a magnifying will stop at nothing to solve this mystery, and you are brought along for the ride. Don't worry, I will not spoil the ending. All I will say is that this was an instant hit with my girls, and one book that they continue to ask me to read with them. 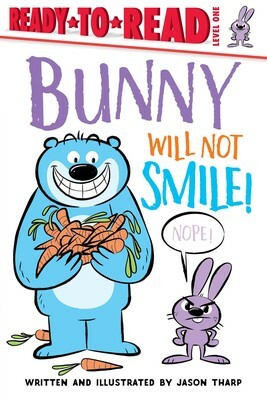 "From the endless imagination of Jason Tharp comes a brand-new, interactive Level 1 Ready-to-Read that’s perfect for fans of Mo Willems, Jim Benton, and David Milgrim and for beginning readers who like to giggle! A bear named Big has a problem. His friend Bunny will not smile, no matter what Big tries…so Big needs your help! With appealing comic-inspired speech bubbles and interactive storytelling that prompts kids to do everything from turning the page, to leaning in so Big can whisper an idea, to making their silliest silly face, beginning readers will giggle their way through this Level 1 Ready-to-Read! Unlike my oldest daughter, who was reading on her own since the age of 5, my youngest daughter struggled to read. Even though I sat with her for hours practicing sight words and sounding out words, she just found reading frustrating. It was so hard to just let her take a break from reading, and wait until she was ready to read on her own. But, thanks to Ready to Read books from Simon & Schuster, she developed a love for reading with the different beginner reader leveled books, like this one. After seeing how much fun reading was for her older sister, my youngest asked to borrow a few books from my daughter's bookcase, and these were the books she took. I found her sitting on her bed, whipping out the level one and two books, and working hard to sound out more complex words from the level 3 books. Thanks to rhyming words and sight words that got difficult as the levels increased, things just clicked with her, and she was off and reading. "New York Times bestselling duo Doreen Cronin and Betsy Lewin’s beloved story about a noisy duckling is now available as a Level 2 Ready-to-Read! 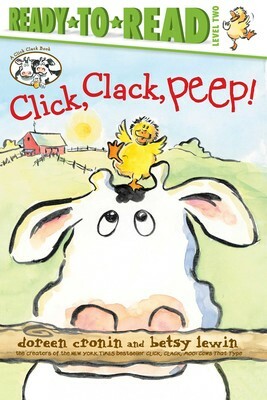 Fans of this author, who is famous for her Click, Clack, Moo book, will go crazy for this new book featuring a fun loving chick. My youngest loves Doreen Cronin and Betsy Lewin, so was excited to get her hands on this new release to read. This story is written in the same manner as the other Click, Clack books, making it a must have for young fans of this series. The bright and playful illustrations add to the fun of the story, which will have your little ones chiming in with "Peep, Peep, Peep," as you read this book to them. "Mission Impossible and James Bond have nothing on this wily bunch of rabbits who are pledged to protect the Queen of England—and the President of the United States—from a dastardly plot in this charming second novel of the Royal Rabbits of London series. Life is an adventure. Anything in the world is possible—by will and by luck, with a moist carrot, a wet nose and a slice of mad courage! 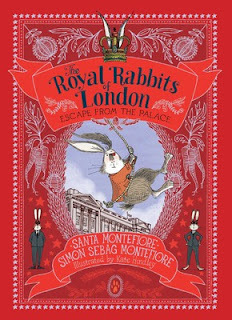 Little Shylo Tawny-Tail is proud to call himself one of the Royal Rabbits of London, a secret order who live under Buckingham Palace and fight evil across the world. But high up in London’s famous skyscraper, the Shard, the horrible ratzis are plotting to cause chaos during a visit from the President of the United States. And when the Grand Burrow is attacked and Shylo is kidnapped, it looks as though they might just manage it! Can Shylo escape in time to save the day?" 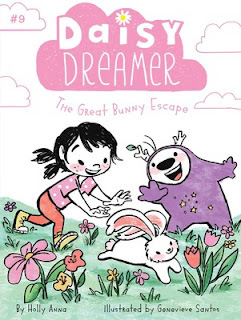 "When a friend’s pet bunny escapes into the World of Make-Believe, Daisy and Posey have to track him down in this ninth Daisy Dreamer chapter book! Have you ever heard the phrase “quick like a bunny?” People say it all the time about me. It means that I am fast. But I just met something that’s even faster than me. And guess what? It’s a cute and fluffy bunny! I am bunny-sitting for my friend, Lily. Bunny-sitting means I am caring for her bunny—not sitting on it. Obviously. Watching a bunny is easy, unless you have an imaginary friend named Posey who draws doors to the World of Make-Believe and leaves them open. Because Lily’s pet is quick like a bunny, and it loves to run through open doors. 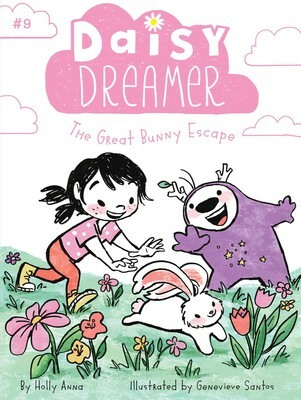 With easy-to-read language and illustrations on almost every page, the Daisy Dreamer chapter books are perfect for emerging readers." Both of my girls are big Daisy Dreamer chapter book fans. After having Santa bring them a few of these chapter books for Christmas, they have been playing catch up with the series, by borrowing books from the library or buying them to enjoy over and over again. This is the ninth book in the series, and is both of my girls' favorite installments to date. With a pet bunny on the loose, it is up to Daisy and Posey to track it down for Lily. My girls finished this chapter book in one sitting, and both agreed that with the pet bunny theme, it would be perfect for Easter, or a springtime read. Beginner chapter book readers will love this book, which is filled with oversized black and white illustrations, as well as large print. My girls built their chapter book confidence by reading the Daisy Dreamer series, and are always on the lookout for new installments in this popular beginner chapter book series, to pick up and enjoy. And, this 9th book in the series did not disappoint! To learn more about these and other wonderful new and recent children's book releases, head on over to https://www.simonandschuster.com/kids today. There you will find books for children ages 0-12.